Recently an elder from the Lutsel K’e Dene First Nation in the Northwest Territories of Canada arrived in Maine after two days of traveling. To get here Florence had to fly on a small plane from her tiny community on the shore of the eastern part of Great Slave Lake—one of the world’s largest lakes—to the small city of Yellowknife. After a day of meetings in Yellowknife, Florence had to fly nearly 800 miles south to Calgary and then a shorter hop of about 200 miles north again to Edmonton where she spent another night. The next day she flew from Edmonton east to Minneapolis and then to New York before eventually ending up at the Portland, Maine airport, spending the night in a nearby hotel. Why did she endure all that grueling travel? She was making her way to National Audubon’s famous Hog Island bird and nature education camp in Bremen, Maine to attend a course called Hands on Bird Science. Florence made the trek because she wanted to learn as much as possible about birds and birding to take back the knowledge to her community and especially to the young people of Lutsel K’e. And Audubon wanted her to share her unique experiences and perspectives to teach the adults and teens at the camp about Indigenous culture and language from her region of Canada’s vast Boreal Forest. Florence’s background includes many things including a stint as chief and as the principal of the local school. Before she left she had taught two dozen teens and ten adults from across the U.S. at least a few words of her native language and opened their eyes to the amazing culture and nature of the traditional territory of the Lutsel K’e Dene First Nation of the Northwest Territories. She was the perfect ambassador. Why, you may ask, are we bringing all of this to your attention? Because the Lutsel K’e Dene First Nation is working to protect a landscape called Thaidene Nene (Land of the Ancestors) of more than five million acres (an area 25 times larger than Maine's Baxter State Park and more that twice the size of Yellowstone National Park) in Canada’s Boreal Forest—an area that supports literally millions of migratory birds! 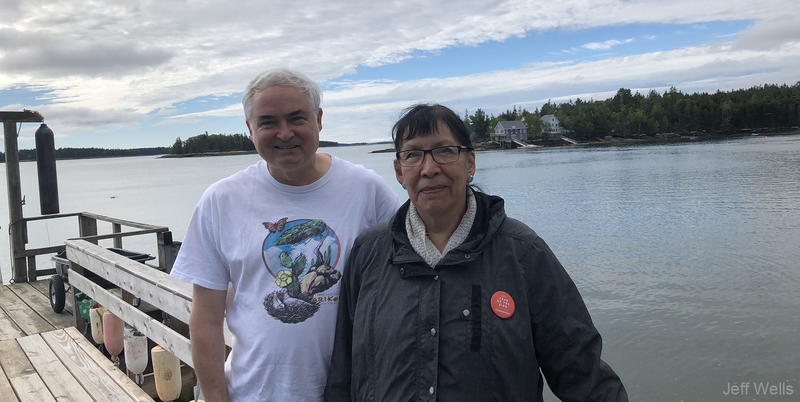 Florence’s trip to Maine was a small part of her community’s long and complex journey to find multiple avenues to try to achieve protections of these lands as well as a prosperous future for the young people of Lutsel K’e. And the Lutsel K’e Dene First Nation is not alone. 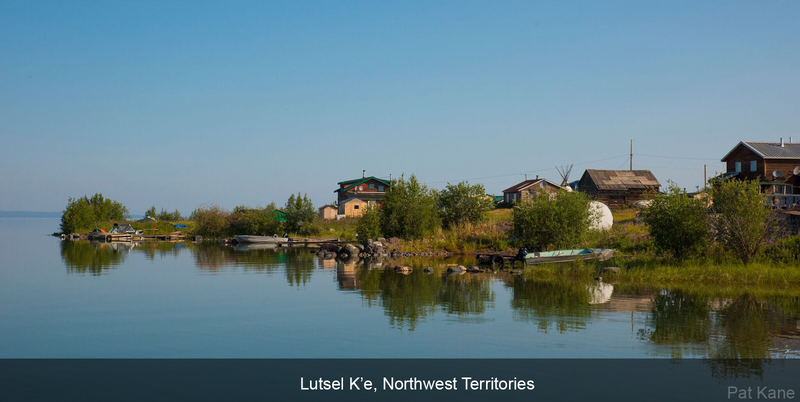 Indigenous governments and communities like the Lutsel K’e Dene First Nation are leading the way in the boldest conservation initiatives now underway across North America and the world. Although the conservation work may not be solely focused on birds, the conservation gains for birds are among the biggest in our history. Tens of millions of acres of Boreal Forest lands and waters have been or are now being proposed and advocated for conservation by Indigenous governments and communities across Canada. That means that the future of tens of millions of the birds that we love to see migrating through our forests and backyards and ponds and bays, is now made safer by the leadership of Indigenous people. In this, The Year of the Bird, as we celebrate 100 years since the signing of the Migratory Bird Treaty Act, it is exciting to know that some of the biggest players in bird conservation today are not the ones that many bird enthusiasts know so well from the past. It’s time we celebrate the incredible far reaching and forward-thinking conservation work being led today by Indigenous governments and communities that will be crucial to ensuring we celebrate the birds we love in another hundred years. Get BSI E-Updates with action alerts and news about boreal birds and the Canadian Boreal Forest.